Ontario also provides up to an additional $1,000 to toward the purchase and installation of fast-charging equipment for the home or workplace. The Province of Ontario is increasing incentives to buyers of electric vehicles in an effort to get more electrified cars and trucks on the road. The cap that limits incentives to 30 per cent of the manufacturer's suggested retail price of qualified battery electric or plug-in electric hybrid vehicles has been eliminated. Hence, qualified EVs and PHEVs priced up to $74,999 are now eligible for a maximum provincial rebate of $14,000 through the Ontario Electric Vehicle Charging Incentive Program. The Ministry of Environment and Climate Change also removed the $3,000 cap on incentives for EVs that are fully run on battery power and priced between $75,000 and $150,000. Those vehicles are now also eligible for a rebate of up to $14,000. Rebates still vary based on several factors, including battery size and seating capacity. Electric vehicles with an MSRP of $150,000 or more remain ineligible for incentives. About 90 different vehicles from the model years 2016 and 2017 are eligible for some sort of rebate. The program also provides up to an additional $1,000 to toward the purchase and installation of fast-charging equipment for the home or workplace. Ontario, British Columbia and Quebec are the only three provinces to offer government rebates for the purchase of green vehicles. “Providing better incentives for electric vehicles will help consumers and businesses make the transition to more sustainable vehicles, and keep Ontario at the forefront of the clean, green economy,” Minister of Transportation Steven Del Duca said in a statement. There are currently more than 9,000 electric vehicles registered in Ontario, the government said. Although it’s not legislation, the province wants five per cent of all passenger vehicles sold or leased in Ontario to be powered by electricity or hydrogen in 2020. The five-per-cent is simply a goal of the Electric and Hydrogen Vehicle Advancement Partnership, which brings together the automotive sector, advocacy organizations, academia and government to increase the number of non-polluting vehicles on Ontario roads. General Motors, which started delivering the EV Chevrolet Bolt to Canadian dealers on Jan. 26, is pleased with the government’s decision. 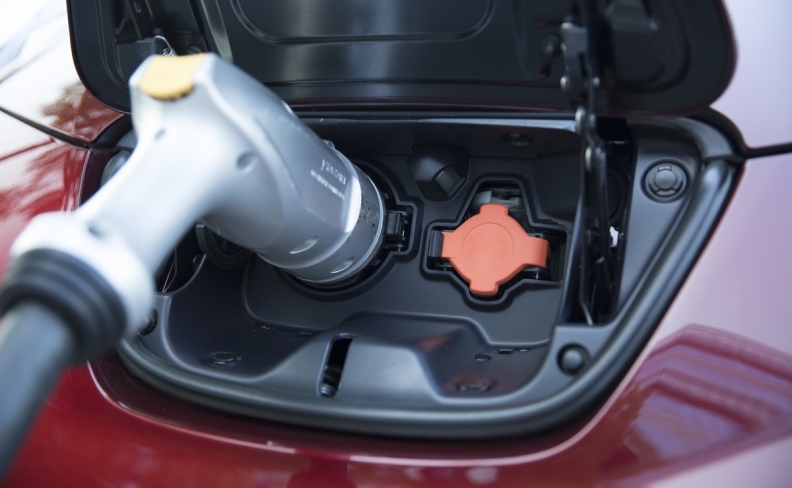 “Incentives along with increasing public awareness, consumer education and expansion of public and workplace charging infrastructure are key to increasing consumer adoption of electric vehicles,” GM Canada’s Vice-President of Corporate and Environmental Affairs David Paterson said in an email to Automotive News Canada. The province said it will continue to review the program annually “to ensure that it is an effective tool for promoting the adoption of EVs in Ontario.” The next review will be conducted in the fall of 2017.